SEAT IBIZA II (6K1) 1.4 i. The photographs are generic and not correspond faithfully with the referenced ware . Golf Mk2 1988 - 1992. Corrado 1989- 1995. Jetta 1988 - 1992. This is a new,genuine VW part. Part number. Alternative part number(s). 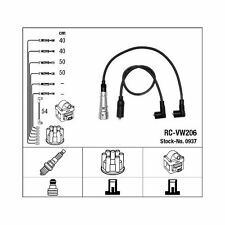 Cables bujia encendido NGK0941 - RC-VW210 - Ignition cable kit - AUDI-SEAT-VW-WARTBURG. SEAT CORDOBA. SEAT IBIZA II. VW GOLF II. VW GOLF III. The photographs are generic and not correspond faithfully with the referenced ware . SEAT AROSA (6H) 1.0. SEAT CORDOBA Vario (6K5) 1.4. motor: ANW,Cod. motor: AUD SEAT IBIZA III (6K1) 1.4. SEAT INCA (6K9) 1.4i. VW LUPO (6X1, 6E1) 1.0. VW LUPO (6X1, 6E1) 1.4. VW POLO CLASSIC (6KV2) 60 1.4. 4 X NGK PFR7S8EG Platino Chispa Bujías AUDI VW SKODA, VW y Seat 1.8/2.0 etc. Type:- PFR7S8EG. VW VOLKSWAGEN. A3 (03-->13) 1.8 BYT,BZB,CDAA / TFSI 10/06 ->. A3 (03-->13) 2.0 AXX,BWA,CAWB,CBFA,CCZA / TFSI 07/04 ->. A3 (03-->13) 2.0 BHZ,CDLA / 265bhp / 195kW S3 10/06 ->. Part Number: 101000036AA X4. NGK BUR6ET. A6 C4 1995-97 MODEL YEARS (4A)WITH ABK, ADW, AAE ENGINE. SET OF FOUR LONG LIFE SPARK PLUGS. GOLF MK3 1992-98 MODEL YEARS (1H)WITH GR, EZ, HM, GT, HZ, NZ, MH, NU, JP, JR PB, PF, RV, GU, GZ, RH, RP, ABS, ABU, 2E, ADY, AEP, ADZ, AEA, AEE, AEX, AGG, ACC, AKR ENGINE. Type:- IZFR6P7. A1 1.2 CBZA / TFSI 05/10 ->. A3 (03-->13) 1.2 CBZB / TFSI 02/10 -> 08/13. ALTEA 1.2 CBZA,CBZB / TSI 12/09 ->. ALTEA XL 1.2 CBZA,CBZB / TSI 02/10 ->. IBIZA 5 (08-->16) 1.2 CBZB / TSI 09/10 -> 06/16. PASSAT B5 1997-2000 MODEL YEARS (3B). PASSAT B5.5 2001-2005 MODEL YEARS (3B). A3 1997-03 MODEL YEARS (8L). TT 1999-06 MODEL YEARS (8N). A4 B5 1995-01 MODEL YEARS (8D). A4 B6 2001-05 MODEL YEARS (8E). BORA 2002 MODEL YEAR (1J)WITH ENGINE CODES AZD, BCB. BORA 1999-01 MODEL YEARS (1J)WITH ENGINE CODE AZD. GOLF MK4 2002 MODEL YEAR (1J)WITH ENGINE CODES AZD, BCB. GOLF MK4 1998-01 MODEL YEARS (1J)WITH ENGINE CODE AZD. LUPO 1999-06 MODEL YEARS (6X/6E 3 CYLINDER). TOURAN 2003-10 MODEL YEARS (1T). PASSAT B4 1994-97 MODEL YEARS (3A). PASSAT B5 1997-2000 MODEL YEARS (3B). PASSAT B5.5 2001-2005 MODEL YEARS (3B). PASSAT B6 2006-11 MODEL YEARS (3C). 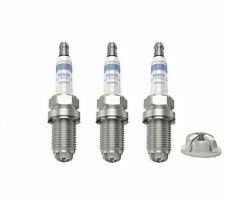 Set of Four BOSCH W8AC Spark Plugs for 1200, 1300, 1500 & 1600 T1 Beetle, T2 Transporter Van, Camper & Pickup & Type 3 1500 & 1600. Equivalent to Part Numbers : N 017 801 13 and W8AC. Please read full listing description carefuly before you order to make sure the part does fit your car. 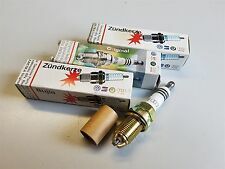 - VW GOLF MK4 1.8 T GTi TURBO BOSCH SUPER 4 PERFORMANCE UPGRADE SPARK PLUGS NEW. VW Mk2 Golf 1.8 GTI 8V Digifant PB Engine 1988 to 1992. 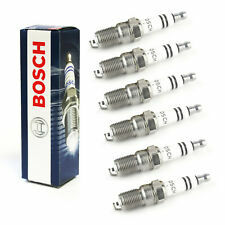 Set of 4BOSCH(OEM) W7DTC Spark Plugs for. 1 single, new and genuine, vag group spark plug, part number 101905601F. Suitable for several vw, audi, seat and skoda vehicles. These are Bosch O.e Plugs. VW (VOLKSWAGEN) Golf IV 1.6(1J1) / 77 kW. VW (VOLKSWAGEN) Golf IV 1.6 Variant(1J5) / 77 kW. 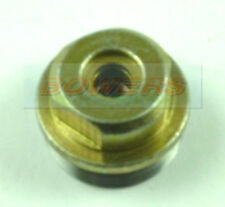 Spark position 7 mm Electrode gap 1,00 mm Thread pitch 1,25 mm Thread length 19,0 mm Width across flats 16,0 mm. They are the Bosch Super spark plugs with a copper core, as used on 1200c to 1600cc T1 engines, and are suitable for Beetle, Buggy, Ghia and Bus. Suitable for Beetle 50-79, Karman Ghia 56-74, Splitscreen 50-67, Baywindow 68-79, Type 3 62-73. Los sensores del ABS. Sensores de riel de combustible. Válvulas de la bomba de combustible y sensores. COMPLETA CON SENSORES DE PRESIÓN. PARA motores Diesel de 1.4 1.6 2.0 3.0. A7 3.0 Diesel 2010 en la. IBIZA 2009-15 MODEL YEARS (6J). NGK SIZFR6B8EG. SET OF FOUR LONG LIFE SPARK PLUGS. POLO 2010-14 MODEL YEARS (6R). A1 2011-14 MODEL YEARS (8X). GOLF CABRIOLET 2012-16 MODEL YEARS (5K). GOLF MK5 2006-09 MODEL YEARS (1K). Bujía NGK 6458 / PFR6Q. Bujía 4x NGK 6458 / PFR6Q. 4 pedazo de bujía NGK 6458. junta kit tornillos de culata Audi VW 1,8 20V 1,8 T S3 BAM APY AGU. Junta de culata set tornillos 1.8 20V de Audi VW 1.8 t S3 BAM APY AGU. VW Mk2 Golf 1.8 GTI 8V Digifant PB Engine 1988 to 1992. Set of 4BERU(OEM) Z12 (W7DTC) Spark Plugs for. Polo (6N2) Hatchback (99 - 01). 1.6 16v GTi 125bhp. 1.4 16v 75bhp. 1.4 16v 101bhp. 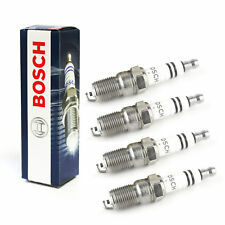 Set of 4 Bosch Super 4 spark plugs. These spark plugs are compatible with the following Volkswagen vehicles These high-performance spark plugs operate based on the state-of-the-art surface air-gap principle. 4 NGK ZFR6T-11G Chispa Tapones SEAT, SKODA, VW, Golf, Ibiza, Golf, Polo, Etc. FABIA 2 (07-->10) 1.2 CHFA 05/07 –> 08/10. FABIA 2 (07-->10) 1.2 BZG,CEVA,CGPA / Vin 5J-8B501226 / 5J-83074395--> 05/07 –> 08/10. FABIA 2 (07-->10) 1.4 BUD,BXW / 16 VALVE 05/07 –> 08/10. FABIA 2 (07-->10) 1.6 BTS / 16 VALVE 05/07 –> 08/10. 4X BR14BFXC. BR14BFXC (ONLY TUNING). Brisk RACING Motorcycle Spark Plugs are unique spark plugs that are designed to. Brisk was founded in 1935 and collaborates with. BRISK Power Chart about 4-5 HP. OCTAVIA A5 2004-13 MODEL YEARS (1Z). PASSAT B6 2006-11 MODEL YEARS (3C). PASSAT B7 2011-15 MODEL YEARS (3C). PASSAT CC 2009-12 MODEL YEARS (3C). SET OF FOUR LONG LIFE SPARK PLUGS. BOSCH 0 241 245 670. 4 x Bosch Double Platinum Spark Plugs. 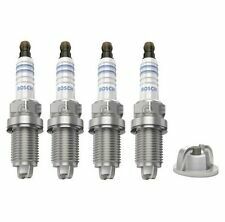 Bosch Double Platinum These spark plugs are compatible with the vehicles in the above compatibility table. Spark Position: 4 mm. Convincing from start to finish. Manufacturer Part Number: PZFR6R. Engine Type: CAVD,CAXA. NGK SPARK PLUGS FOR CARS > NGK LASER PLATINUM SPARK PLUGS. Model: SCIROCCO. Product Type: SPARK PLUG. Product Version: LASER PLATINUM. Ground Electrode Material: PLATINUM. AMAROK 2017 MODEL YEAR ONWARDS (2H) -WITH PR NUMBER DF0. EOS 2011-16 MODEL YEARS (1Q) -WITH ENGINE CODES CBFA, CCTA, CCZA, CCZB. Application Guide :VW CC 2012-17 MODEL YEARS (3C) -WITH ENGINE CODES CDAA, CDAB, CCTA, CBFA, CCZB. NGK PKER7A8EGS. Genuine Parts & Accessories with Genuine savings! Application is to be used as a guide only. Variations on part number can occur with eitherMODEL YEAR ,MODEL TYPE ,PR NUMBERS/ENGINE CODES etc. Type 25 / T3 Transporter Van, Type 25 Kombi Van, Type 25 Pick Up & Caravelle 1980 to 1992. Set of 4BERUOEM Z12 (W7DTC) Spark Plugs for. THE ITEM YOU WILL RECEIVE MIGHT BE DIFFERENT FROM THE ILLUSTRATION. • Wide Selection of parts for your German Car at one place. ALL PRICES QUOTED ARE FOR SINGLE UNITS, UNLESS SPECIFIED OTHERWISE. We are also not responsible for installation errors, labour expenses, or any other expenses that may occur. 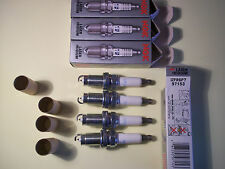 THEY ARE GENUINE AUDI VW BOXED NGK SIZFR6B8EG LASER PLATINUM LONGLIFE SPARK PLUGS. VW EOS 1.4 TSI ENGINE MODELS 2009 > 2016 WITH ENGINE CODES 'CAVD"CTHD'. VW BEETLE 1.4 TSI ENGINE MODELS 2012 > 2018 WITH ENGINE CODES 'CAVD"CNWA"CTKA"CTHD'. BORA 1.6 ATN,AUS,AZD,BCB / 16 VALVE 09/00 ->. PHAETON 6.0 BAN,BAP,BRN,BTT / W12 07/03 ->. TOUAREG 6.0 BJN / W12 03/05 ->. A8 (02-->10) 6.0 AZC,BHT,BTE / W12 01/04 -> 12/06. VW Mk2 Golf 1.8 GTI 8V Digifant PB Engine 1988 to 1992. BERU Ultra X Plus. Set of 4BERU(OEM) UPT8 - Superior Performance Version of Z12/W7DTC Spark Plugs with Poly-V Ground Titanium Alloy Electrode for.